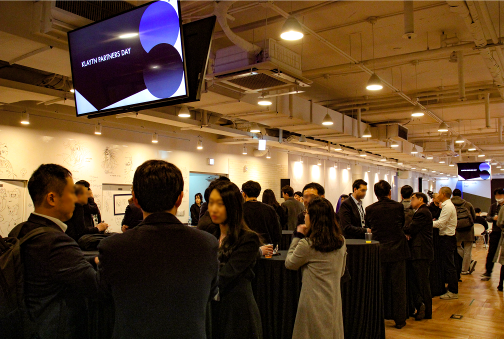 On March 19th, the BORA team travelled to the Kakao headquarters in Pangyo, Korea to attend the Klaytn Partners Day event. They were joined by investors, reporters, and other partners who all wanted the latest news on this innovative blockchain project. Klaytn Partners Day consisted of two sessions. In the first session, Klaytn discussed their goal for blockchain mass adoption, and provided specifics on their future plans and vision. A press conference was also held at the end of the first session. In the second session, partners and businesses from a variety of different industries were introduced, including gaming and entertainment, healthcare and finance, commerce, lifestyle, and technology. During the session, Jason Han cited a lack of acquisition channels and user-friendly interfaces as issues preventing mass blockchain adoption. It was revealed that Klaytn is working closely with Kakao to systematically attempt to solve these problems. Klaytn emphasized the importance of ISPs (Initial Service Partners) who provide substantial and tangible service use-cases for the blockchain ecosystem. In addition to improving user experience, Klaytn is working to improve accessibility to the blockchain for global companies through DX (developer experience) and EX (enterprise experience). Blockchain technology has the potential to provide safe and transparent data linking and storage. The real value of a blockchain ecosystem lies in its ability to create user experiences that reflect the advantages mentioned above. It is crucial that partner companies in each industry work together to realize a solid blockchain structure. That structure will then be used to create real life usage scenarios applicable to everyone. BORA is actively participating in the efforts to create a blockchain ecosystem. As a technical partner, BORA is working with Klaytn within the digital content distribution and entertainment space. BORA’s participation is focused on technical development and operation in order to link the BORA platform with the Klaytn mainnet. BORA hopes to collaborate with Klaytn to maximize the benefits of both services and provide meaningful experiences for both partner developers and BORA users. 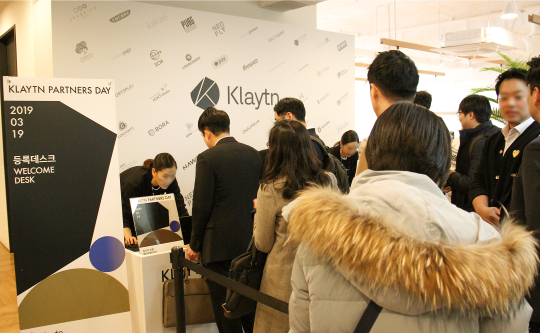 Partners who attended the Klaytn event expressed interest in strengthening the blockchain ecosystem in their respective business areas. Their efforts draw a prosperous blueprint for the blockchain industry as a whole. Through partnership with Klaytn, developers from several industries are preparing to launch a series of services that are easily accessible to the public. The BORA team is excited to be part of this initiative as they work hard on the official launch of the BORA platform in Q3 of this year, as indicated by the BORA roadmap.